Is an exfoliating product that takes the dead cells and impurity over, leaving a soft, bright, smooth and moisturized skin thanks to the action of natural ingredients contained. We suggest to use it in synergy with Ocean Seaweed Mud or with GEOMAR Creams against the unaesthetic signs of cellulite. GEOMAR Thalasso Scrub prepares the skin for the sun exposure because favours a bright, uniform and lasting suntan. MARINE SALTS: Renews the skin with a delicate exfoliating action. ALMOND AND WHEAT GERMS EUDERMIC OILS: Nourish the skin and increase the tissues resilience. 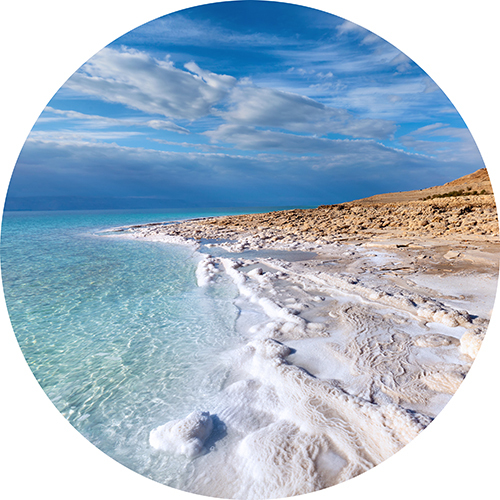 OLIGOELEMENTS FROM THE DEAD SEA: Restore brightness and resilience to the skin. 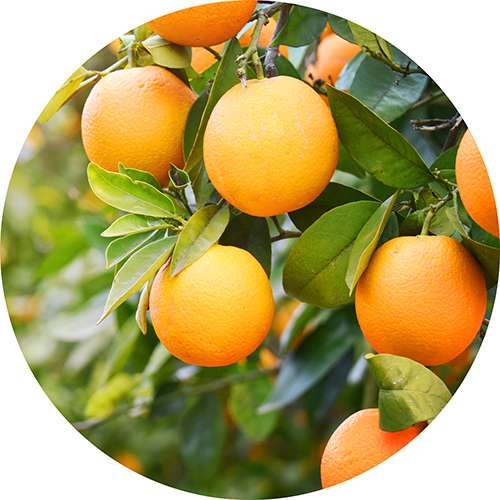 ORANGE AND MANDARIN ESSENTIAL OILS: Develop a relaxing aroma for your psychophysical well-being. 100% of the volunteers that made the test* thinks that GEOMAR Thalasso scrub increases the smoothness and the softness of the skin immediately after use. Before opening the sachet, blend the salt and the oil working with the hands to get a mixture with homogeneous color and consistency. Open and apply to wet skin, massage and rinse plentifully. Let stand for some minutes. We suggest 1 or 2 uses per week. The products contains oils that can make the shower slippery. Do not use on injured or sore skin. Sodium Chloride, Peg-7 Glyceryl Cocoate, Maris Sal (Sea Salt), Prunus Amygdalus Dulcis Oil (Prunus Amygdalus Dulcis (Sweet Almond) Oil), Triticum Vulgare Germ Oil (Triticum Vulgare (Wheat) Germ Oil), Tocopheryl Acetate, Retinyl Palmitate, Citrus Aurantium Dulcis Peel Oil (Citrus Aurantium Dulcis (Orange) Peel Oil), Citrus Reticulata Peel Oil (Citrus Reticulata (Tangerine) Peel Oil), Tocopherol, Helianthus Annuus Seed Oil (Helianthus Annuus (Sunflower) Seed Oil), Isopropyl Myristate, Aqua (Water), Bht, Parfum (Fragrance), Linalool, Butylphenyl Methylpropional, Benzyl Salicylate, Limonene, Citronellol, Ci 42090 (Blue 1), Ci 19140 (Yellow 5).